If Aar Maanta’s family and community had their way, the artist who is today considered to be the voice of the new Somali generation would have become a scientist. However, due to his passion and willpower, he is today revered as one of the most creative and talented Somali musician both in the Horn of Africa and Diaspora. After the challenges of an uprooted childhood and resettlement, Aar had to overcome further obstacles to arrive at this point in his career, not least the disapproval of music and performance by his conservative family. Despite studying music at school, Aar Maanta ended up completing a science degree. After graduation, his passion for music took over and he began the ‘Horn 2 Grove’ recording project which generated Aar’s 2009 debut album ‘Hiddo & Dhaqan’. The album brought traditional Somali music together with Western musical influences like house and reggae into a fusion described as Afro Hop. 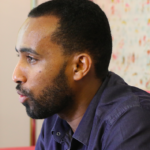 In 2010, Paris based StarAfrica recognised Aar Maanta’s achievements in creating this new sound, when it named him “A Somali Culture Shaper in London.”Lyrically Aar Maanta’s songs are written in the traditional Somali poetic form using allegory and alliteration to address issues of relevance to Somali immigrants. As a result, Ahmed ‘Hudeydi’ Ismail Hussein, a master oud player and one of Somali music’s greatest composers as well as Hassan Aadan Samatar, an iconic lead singer of Somalia’s now defunct national theatre Waaberi, have endorsed Aar’s music as the bridge that links the old musical generation to the new one. Aar Maanta’s growing appreciation for live music and the lack of it in the industry, led him to form his The Urban Nomads. A multinational and multi-talented collective which consist of Italian bass player Ruth Goller, British/Caribbean saxophonist and keyboard player Josh, French guitarist and sound engineer Thibaut Remy, and Nepalese/Scottish drummer Pharoah Smeaton Russell. Each member of the band brings a unique musical knowledge and background experience to the mix to create a distinct sound that reflects the diversity of Aar’s musical influences. Chris Riemenschneider of the Minneapolis Star Tribune summed up the night with the following review “A textbook example of what makes the Cedar special occurred again Saturday when Somali singer Aar Maanta returned to the worldly Minneapolis West Bank venue. The London-based singer packed the room with many Somali residents from the neighbourhood, plus students from nearby colleges and hippies from the Cedar’s past — all of whom danced along excitedly to his jagged grooves. 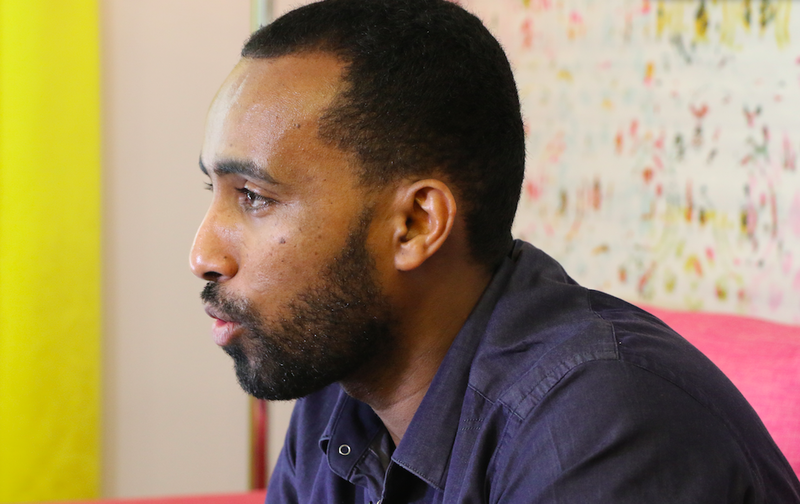 “I’m surprised to see so many non-Somalis,” Aar Maanta said at one point. “There’s been a revival in Somali music, you can see it here at the Cedar.” Great, how about more of the stuff?” With The Urban Nomads, Aar Maanta hopes to take his music not only to the Somali Diaspora but also to the wider community, releasing a new four-track EP in October 2015, followed an album in March 2016. Both the EP and the album will be historical in being the first Somali recordings in decades to feature a live band.